well, i finally got around to downloading the photos and looking threw them. 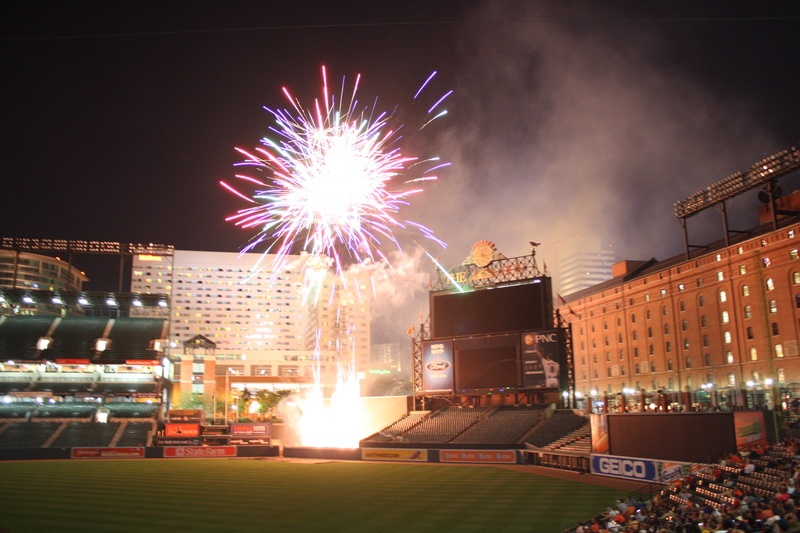 there are a couple from a trip to salisbury to see the shorebirds on july 1st and a great shot of the fireworks at the orioles game last week. the fireworks is probably one of my favorite fireworks photos to date and i took some nice ones on the 4th of july as well! maybe i will post them later. for those who haven’t been to a minor league stadium, and this was my first trip in a long time, it is generally a great experience. lots of fan interaction and lots going on at the game. the stadiums are smaller and don’t necessarily have the most comfortable seats, but are still enjoyable. the other picture on the right is of the delmarva shorebirds first baseman, mike flacco (brother of joe flacco, raven’s QB if you didn’t know). 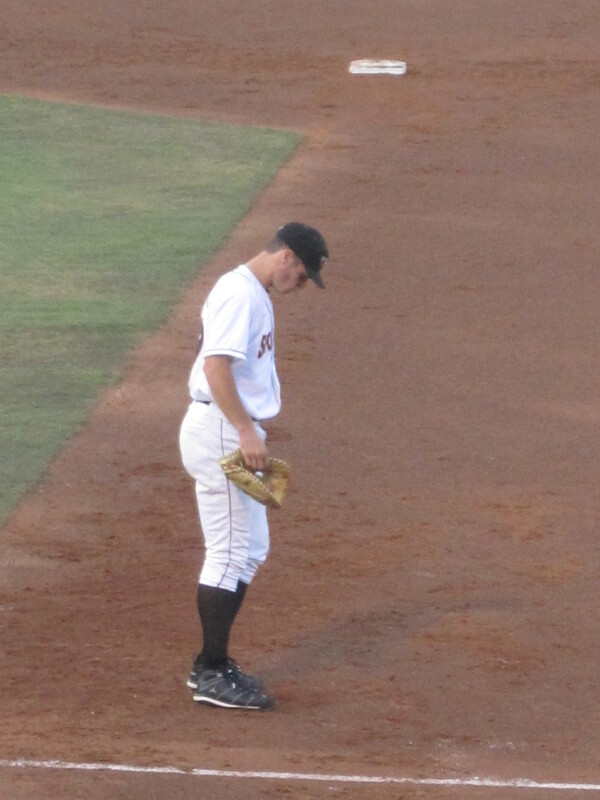 he has been hitting clean up for the shorebirds this season and seems to be making strides on improving his game. 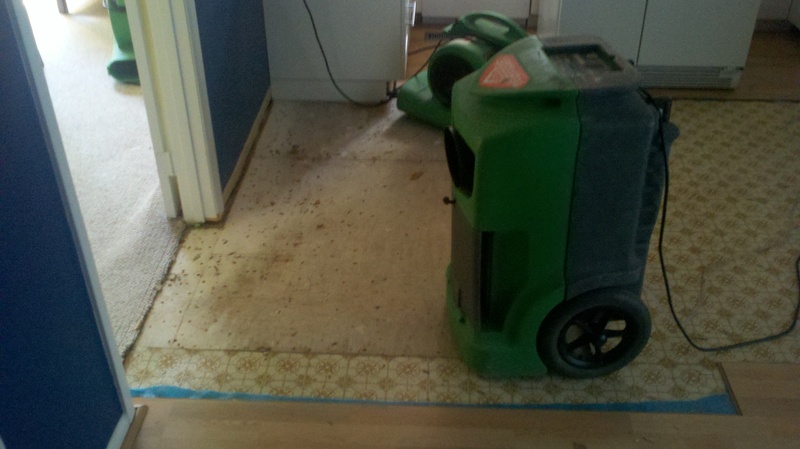 so last night, almost exactly 2 years after the house flooded for the first time, it happened again. same plastic pipe broke but in a different spot. the pipe carries the water to the fridge for ice and water dispensing on the door. since the pipe cracked and it’s a compression hose so that when you want water from the fridge, you get it, it keeps running until there is the right amount of pressure on it. it probably ran for 7 or 8 hours at the most and wasn’t as bad as the first time it broke. serv pro is here working on the demolition to get the water out and has set up fans and dehumidifiers to dry the place out. this is not the type of thing you want to experience once, let alone twice in two years. hopefully state farm won’t drop me! the picture above is from the kitchen where they have pulled up the lament flooring. the water ran downstairs and messed up my man room and the laundry room. hopefully none of the electronics will be messed up either! i think all my dvds have survived thus far. there are good things about being a home owner, but this is a serious woe! not sure about you guys, but summer time is one of my favorite times of the year. it combines two things i really enjoy, the beach and baseball. and although you can enjoy baseball all year around, there is nothing like sitting in the stands of the stadium. the beach is a place i’ve enjoyed since being a kid and still enjoy as an adult. i just got back from being there over the 4th of july week. as i spent time at the outer banks, i continue enjoy it as a place that keeps me calm and serene. the sun, the surf, the sand, the salt air, i enjoy it all. and who doesn’t love a good tan? as many others, when i think of america’s pastime, baseball immediately comes to mine. if there was one sport that is my number one, it is definitely baseball. as some might remember, my wife got us a partial game plan for the orioles this year and although the team hasn’t won in awhile, it’s something we enjoy doing together. and it is something i can teach her all i know. having played and umpired since being a young kid, i can say, i know a lot and have seen a lot. from the days of going to memorial stadium as a young kid and seeing stars of the late ’80s and ’90s to being at camden yards for 10-15 games a summer from being a kid to being an adult. this year i have also made it to nationals park for the first time and experienced my first non-baltimore stadium. nice little stadium they have down there in dc, but it’s no oriole park at camden yards. #justsaying. as well, my buddy and i are making our rounds to some of the minor league affiliates. on july 1st, we rode down and caught the shorebirds game and also got our manny machado bobbleheads. we even met @2131andBeyond finally. 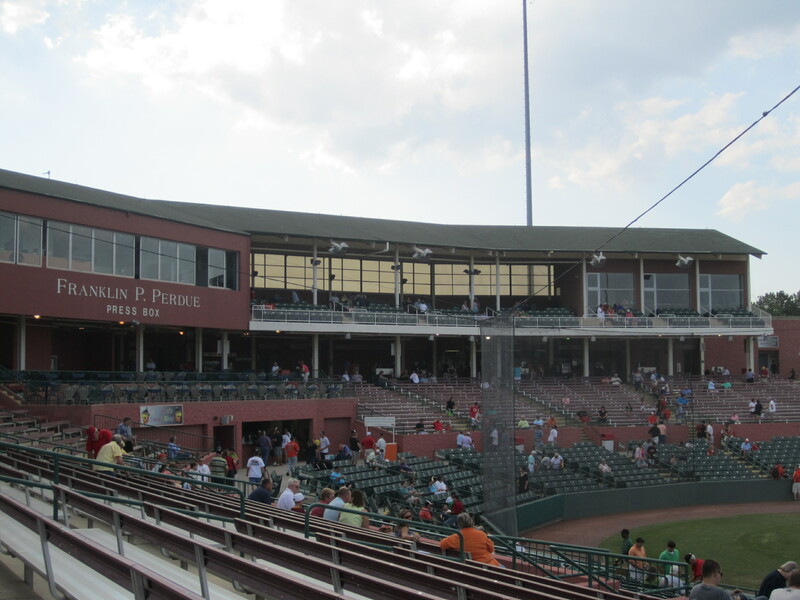 later this summer, we are going to make it to a game or two at bowie and next week, my wife and i are going to head to aberdeen to see the ironbirds and ripken stadium. we got tickets through my job so they were easy to get a hold of. i’ve wanted to see it since it was built and have driven around it several times, but this will be my first visit inside the stadium. we even went to an outer banks daredevils game as well. they are a summer wood bat league for college kids and are part of the coastal plain league. it’s really a neat experience and as one friend it’s probably like summer catch with freddie prince jr. haha, that’s almost true! so any way, that’s what i’ve been up to this summer so far. i have some pretty good pictures from the fireworks on the beach the other day and will share those a few from my first visit to the shorebirds stadium once i get them downloaded. i really intend to blog more so look out!